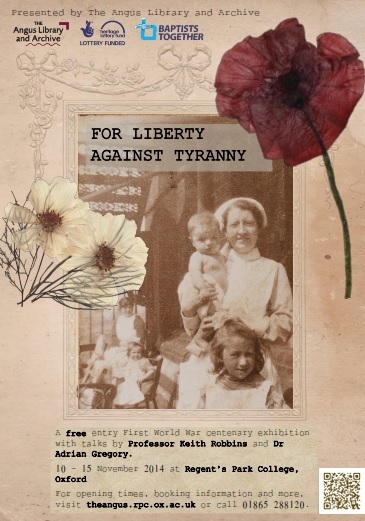 An exhibition looking at the events of the First World War and how these affected the thoughts and actions of non-conformists. 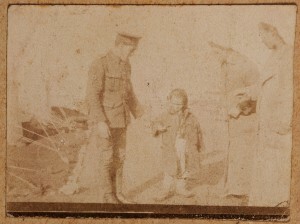 Featured will be never before seen items such as correspondence from Prime Minister David Lloyd George, emergency passports issued at the outbreak of war and photographs from international war fronts. History teachers – would you like a unique opportunity to handle and work with original documents, images and artefacts at an Oxford college? A chance to use collections to help to create accessible, imaginative and stimulating resources to use with your Key Stage 3 and 4 pupils? 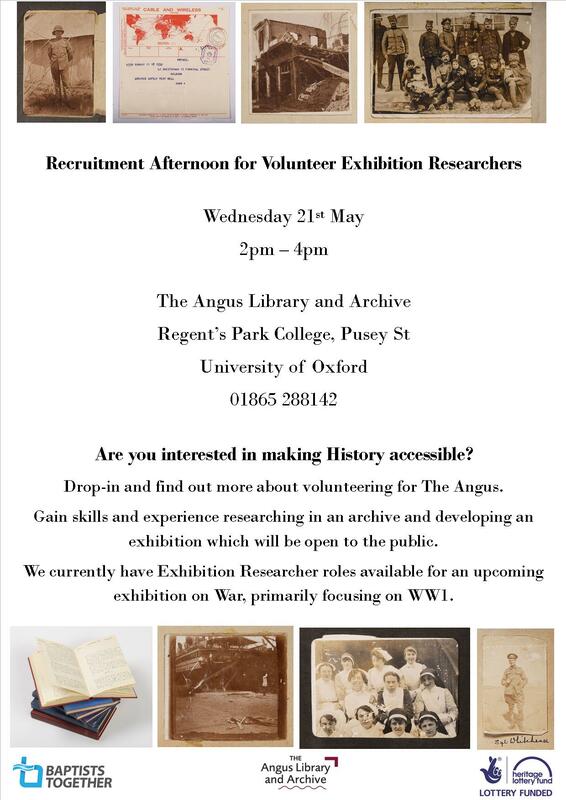 If so, The Angus Library and Archive, Regent’s Park College, Oxford, would like to hear from you! We have archive material on subjects including the slave trade, the role of women, war, empire and imperialism and we would like teachers to be involved both in the developmental stage and testing of new educational resources using these materials. When the resources have been completed, all schools will be able to access the materials from our website and also engage with other teachers and users exchanging ideas and comments for using them. We refund teacher travel expenses, and provide refreshments. 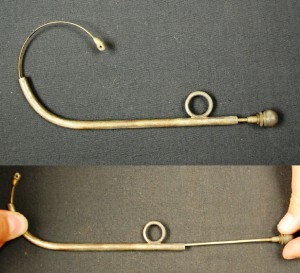 There are an abundance of treasures and curiosities housed in The Angus, but something we’ve always been lacking is a nineteenth-century sphygmomanometer! The arrival of a large wooden box purporting to contain artefacts relating to the work of the cartographer and Baptist Missionary, George Grenfell (1849 – 1906), has managed to surpass all of our expectations, not only do we now have in our possession a sphygmomanometer, but also a chronometer, barometer, sextant, ‘hack’ watch, spirit level, stethoscope, microscope, artificial horizon, a pair of very lightweight binoculars, two telescopes and three thermometers. We’re ready to observe and measure anything! Such an extensive array of equipment would have been vital to the success of the first cartographer to map the Congo Basin. Between 1880 and 1886, a number of explorations of the Congo Basin in western Africa were led by Grenfell. Alongside his team, Grenfell explored and mapped the little-known tributaries, thus opening the central African interior to further expeditions. Some more unusual items from Grenfell’s collection which are now in The Angus include a cloth pouch of medical tools, the bark of the tree under which Livingstone’s heart was buried and a mouth organ belonging to Mantantu Dundulu. 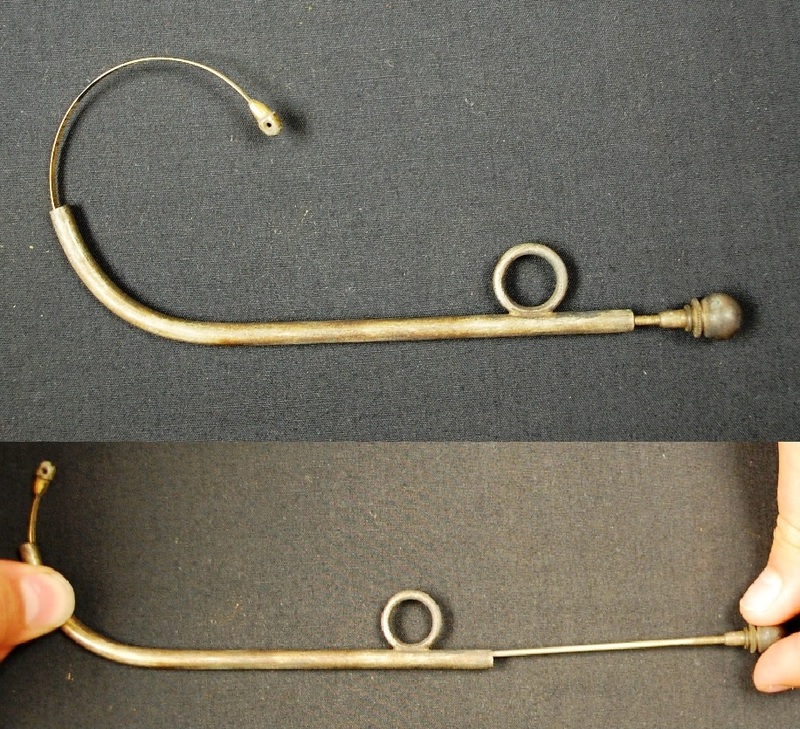 The use/s of some of the items belonging to Grenfell is/are not entirely obvious; if you happen to know what this miniature instrument is, please do leave us a comment! Most people have an image of the Spanish Inquisition in their minds as the bloodthirsty massacre of 16th century Spanish Protestants in retaliation for the blasphemies of Luther. Although not a pleasant exercise of authority, the Spanish Inquisition was rather less murderous and more bureaucratic than tends to be imagined. In many ways it acted as a civil service not just to the Roman Catholic Church, but also to the monarchies in multi-kingdomed Spain. The Inquisition was founded in 1478: five years before Luther’s birth, and several decades before he pinned anything to anyone’s door. It was largely set up to monitor Jews and Muslims who had converted to Christianity, but were suspected of continuing to practice their ancestral religions in secret. Given that many of these ‘converts’ had renounced their former religions against threats of violence and death, or had even been forcibly baptised, their lack of wholeheartedness is hardly surprising. Up to 5000 individuals were put to death by the Church during the course of the Inquisition. However, given that it was not totally disbanded until 1834, this averages out at about 14 executions each year, which is in no way out of line with executions carried out in other European countries at this time. Additionally, although heresy trials were the most important work of the Inquisition, many other far more minor legal cases relating to marriage law, blasphemy and general moral infractions. Much the same happened at the Court of Arches in Protestant England. One function which the Inquisition carried out with great enthusiasm was censorship. The invention of the printing press in distant Germany in the 1450s caused something of an information explosion, and heretical or generally suspect texts could now reach large audiences relatively quickly. The Inquisition – in common with most civil and ecclesiastical authorities – drew up lists of undesirable books known as the Index Librorum Prohibitorum (Index of Forbidden Books), which was broadly in line with the first Pope-approved version of 1559. Initially, books on the list were banned entirely, but this soon proved unworkable, and the subtler suppression of pen and ink was applied to many banned books. A good example of this has been found in the Angus Library: Primus [-decimus] tomus eximii patris, inter summa latinae ecclesiæ ornamenta ac lumina principis, D. Aurelii Augustini Hipponensis episcopi [The Works of Augustine] (Basle: Froben, 1569). The works of Augustine were, of course, highly thought of by the Roman Catholic Church, but this edition printed in Protestant Basel had some unfortunately Calvinistic footnotes, and left in a few Augustinian sentences about the moral probity of clergy which the Inquisition would have preferred to have been omitted. So a censor crossed them out. To ensure that the censorship was genuine, each copy of a censored work – and each volume of each copy – were signed and dated by the by the authorities on the final page. The writings of an Algerian author, printed in Switzerland, bound in Germany, and censored in Spain, are now shelved in England. This is less unusual than might be expected. Books forbidden to Catholic Europe not infrequently ended up in Protestant England: Thomas James even used the Index Librorum Prohibitorum as a shopping list for good books to fill the shelves of the Bodleian Library, and plenty of English gentlemen liked to buy impressive books as souvenirs of their Grand Tour. This book’s route to the Angus Library is not entirely clear, but it is safe to say that no-one had been expecting the Spanish Inquisition in a Baptist library. I have been volunteering in The Angus for almost a year now, and in that time a lot has happened. I’ve been involved in the creation of three successful exhibitions and am now starting work on my fourth. We’ve also seen guest speakers, run school sessions, and this week I’m off to Glasgow for some training. There is always something to be getting on with, whether it’s searching the archive for new objects to display in exhibitions or prepping text for an exhibition guide or new display. I’m learning a lot and I’m very grateful to everyone here. The second quarter of 2014 marks the official half-way point in the project. Although there is still lots to do, it would be a good idea to reflect upon the achievements of the ‘Baptist History: Hidden Treasure’ project thus far. The beginning of 2013 can be categorized as the development segment of the Delivery Phase. It was in this segment that the project team was recruited and inducted, and the activities could be thoroughly discussed in order to be swiftly implemented. By Autumn 2013 four out of the five new members of staff had already been recruited and were settling into their duties. 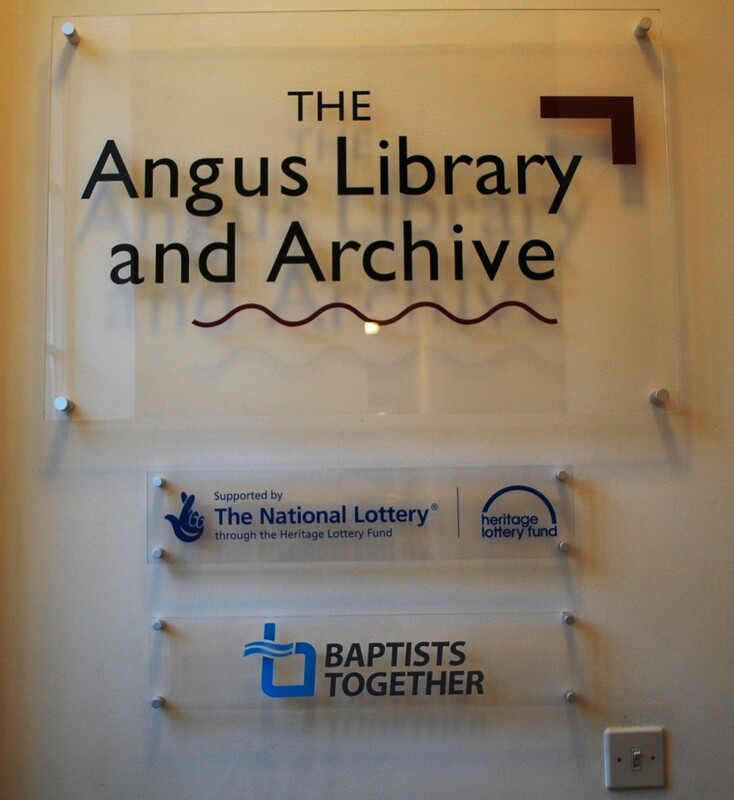 With a Learning & Participation Officer creating and organising the outreach side of the project, two Cataloguers to catalogue the Angus collection, and an Administrator to support them, the Activity Plan was put into action. Of course, it is not just the employees of the Angus Library who make up the project team, but also the volunteers who make such a difference by giving up their own time to assist with both the archiving and the exhibition research & interpretation. Work quickly began on the first exhibition of the Project: “Slavery: the Historical and Modern Perspectives” with much of the research being carried out by our team of dedicated volunteers. The exhibition was opened to the public in October/December 2013 and was an immediate success. The brand new website further enhanced the impact of the exhibition as well as providing a platform for the public to search for details of ancestors who worked as missionaries for the BMS – a task carried out, again, by our enthusiastic and diligent volunteers. 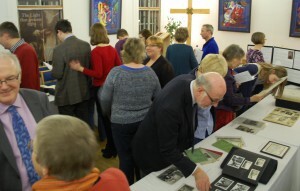 Schools became the focus in early 2014 with two archive taster days being held in the Angus in January. The feedback received was wholly positive and supportive, both from the students and from The Angus staff. The schools resources are now in the process of being launched from our website. If you are interested in using these resources they are available to be downloaded for free. We also welcome any feedback on these resources which you can submit using the ‘contact us’ feature. The outreach phase was, and is, the ‘visible’ part of the project, yet much of the project happens behind the scenes. Our two cataloguers, who frequently blog about the weird and wonderful aspects of The Angus, have unearthed much of the ‘Hidden Treasure’ which the rest of the project team is then able to use to enrich other aspects of the project, such as the exhibitions and school resources. Our second exhibition: “Stethoscopes & Petticoats: the Changing Roles of Non-Conformist Women” used some of the material newly discovered in our archives. Who knows what we may find for our next exhibition on Baptists in Conflict? With many upcoming milestones and activities to look forward to, the project still has a long way to go. However, it is clear that things are in full swing and it’ll only get better from here. On Thursday 1st May, Karen Bradley, Minister for Modern Slavery and Organised Crime, spoke at Regent’s Park College about the challenges faced when tackling modern slavery. 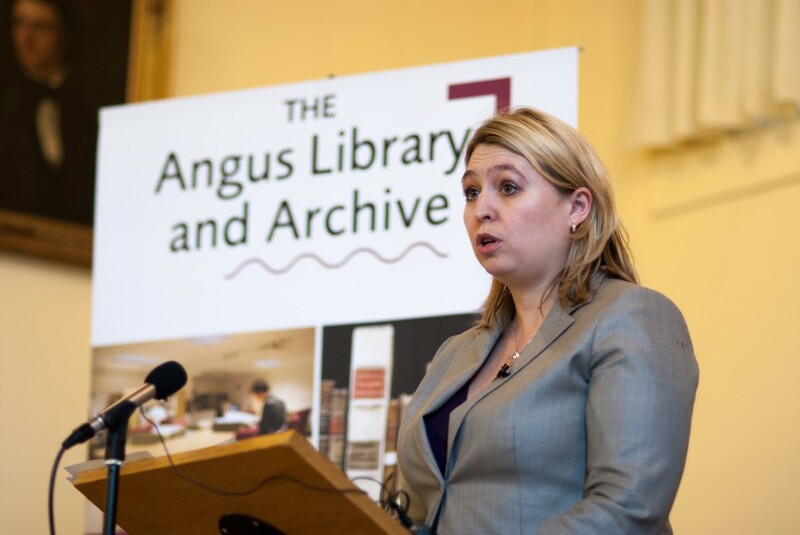 Click here to read a full transcript of Karen Bradley’s speech. We were pleased to welcome over 200 visitors to our exhibition: Stethoscopes and Petticoats: The Changing Roles of Non-Conformist Women, with 50 people attending the free talks on The Life and Hymns of Anne Steele and The Life of Dr Ellen Farrer. The exhibition examined the role of women within the history of the British non-conformist movement, which has traditionally been subsumed under the history of men. The exhibition highlighted the significant contribution non-conformist women made to literature, social and political activism, mission work, and medicine, paving the way for future generations of pioneer women. We’re very happy to report that evidence of strong, intelligent and progressive non-conformist women is not difficult to find in The Angus. The biggest challenge we had to overcome was narrowing down the exhibition content to just a small selection of 27 key objects. The circumstances of discovering two items for the exhibition were so fortuitous that we began to wonder if the archive itself was trying to tell us something. The first item had been sitting under our noses for several months, having been put out on display contained in a scrapbook in our exhibition on Slavery. The scrapbook contains a selection of abolitionist literature, including a small selection of pamphlets. A visitor conducting research on anti-slavery groups in Birmingham happened upon a pamphlet titled, ‘Reasons for Substituting East India, for West India Sugar’ (1826). Although we had seen the pamphlet in the scrapbook, it was our knowledgeable visitor who directed us to the author of the piece: Elizabeth Heyrick, a Quaker and one of the first activists to call for the immediate abolition of slavery. The second item which came to be in the exhibition through fortuitous circumstances is a first edition of Mary Wollstonecraft’s A Vindication of the Rights of Woman: with Strictures on Political and Moral Subjects. 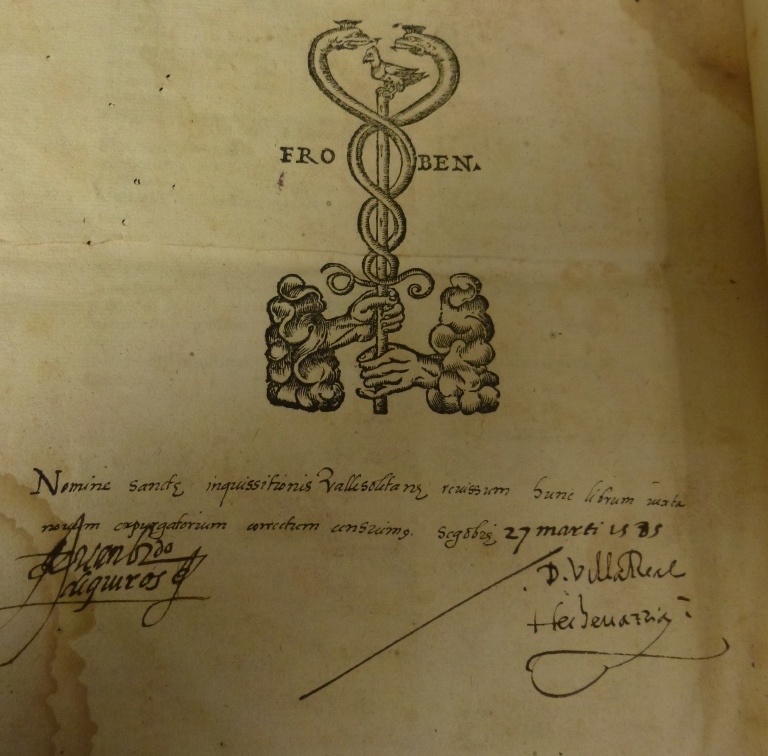 One of our cataloguers working through the backlog of uncatalogued books within the archive, Lucy Kelsall, happened across the seminal text by chance. Such a discovery, just two weeks before the exhibition was due to open was both exciting and challenging as we knew we would have to work the book into the display without disrupting the rest of our arrangement. Fortunately, it made sense to make a text considered to be one of the earliest works of feminist philosophy item number one in the exhibition! Stethoscopes and Petticoats was Co-Curated by Amanda Sharp and Sukie Trowles, Exhibition Research and Curation of Dr E. Farrer material by Blanca Verdia, Exhibition Research by Flavia Catena.